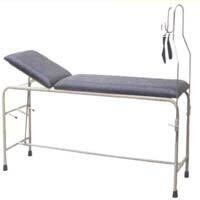 We are offering gynecological delivery bed. size 1830lx550wx800hmm. Constructed from ms tubular steel material. 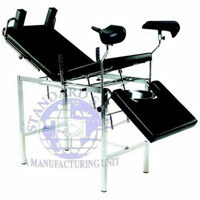 Three section top with adjustable head section , seat section and leg section. 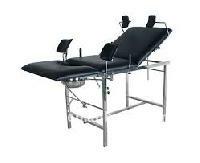 Top is upholstered and covered with water proof synthetic material. Complete with ss bowl 32cm. Dia. Standard padded leg holder finish in epoxy powder coated.